This addictive puzzle game was created by Malcolm Tyrrell on the Spectrum in 2002. Now it is available for the Wiz. 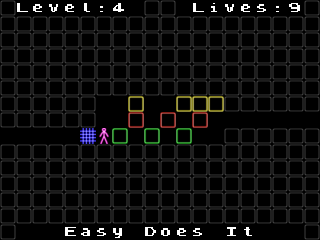 Escape from each of the 39 levels by moving the connected blocks. You are only allowed to push them, never pull.